Your mortgage must be insured (“backed by”) either Fannie Mae or Freddie Mac, and they must have acquired it prior to May 31, 2009. What an odd qualification! Who the heck are Fannie Mae and Freddie Mac anyway, readers inquired, and why have they “acquired” so many homes? More importantly, do they own my home? These are great questions! We’ll break down the history of Fannie and Freddie, learn whether they apply to military homeowners, and then learn how you can find out if your home is owned by either. Created as part of the New Deal programs during the Great Depression, both Fannie and Freddie are government-sponsored enterprises (GSEs) founded to help promote increased mortgage lending and home ownership levels. They achieve this goal by buying or securitizing mortgages on the secondary mortgage market to free up capital for banks and other lending institutions so that they can then offer more mortgages. By the time of the mortgage crisis in 2008, Fannie and Freddie owned about 50 percent of the 12 trillion-dollar mortgage market. As a military family, you may be more familiar with Ginnie Mae. Ginnie Mae is an off-shoot of the original Fannie Mae program which divided into the current Fannie Mae and Ginnie Mae in 1968. Ginnie backs VA home loans, as well as FHA loans. The VA loan holding portion of Ginnie represents a far smaller market share than that of Fannie and Freddie, though; as of late 2014, when the VA guaranteed its 21 millionth home, its outstanding loan balance was only $380 billion--a substantial amount, but a mere drop in the bucket compared to the $6 trillion in the holdings of Fannie and Freddie. It’s no wonder then that the prospect of Fannie and Freddie failing strikes fear in the hearts of our politicians. In 2006, Senator and now former Secretary of Defense Chuck Hagel put forth a bill to overhaul the two housing GSEs. He warned of an impending crisis as a result of their poor management practices and fuzzy math. Unfortunately, it seemed that few beyond Senator John McCain listened, and thus we plunged headfirst into a housing crisis that revealed the inherent weaknesses of the two major agencies that the senators had tried to make plain. In 2008, the Federal Housing Finance Agency (FHFA), the government’s independent regulatory agency for the housing industry, assumed Fannie and Freddie along with almost a one-quarter share of all subprime mortgages. This, combined with an infusion of cash from the Federal Reserve, put American taxpayers on the hook for a huge segment of the mortgage market. Yet, Fannie and Freddie have since returned all bailout funding and then some. 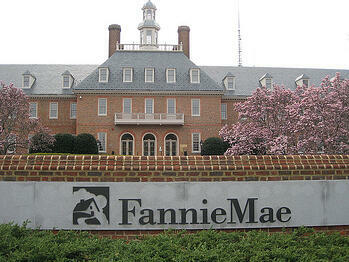 Rumors abound, though, that the government is seeking to eliminate Fannie and Freddie. An elimination of these two programs, according to primetime pundits, could spell an end to affordable housing for middle class families. As a legacy of their New Deal origins, the two programs remain primary reasons that banks will offer 30-year mortgages with low down payments. For a little history, prior to the Great Depression and the creation of Fannie and Freddie, lenders required 50 percent down payments, and most mortgages were 5 years in length, though some fully amortized to a maximum of 12 years. 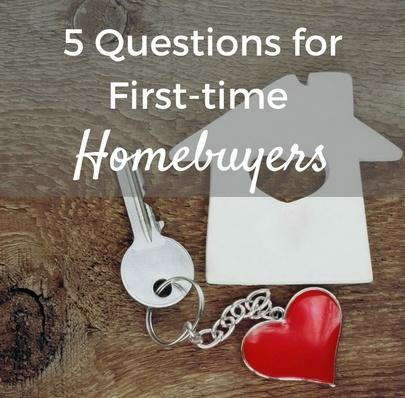 Those kind of terms would definitely change the way you would need to analyze your family’s budget; they’d definitely change the parameters of analyzing whether your BAH could fund a home purchase, too. Hopefully you now have a little more insight into the two agencies that have dominated housing news for almost a decade. This insight will be an important stepping-off research point for you as Congress and the housing market move forward on uncertain mortgage grounds in 2015. We’ll keep you updated on any progress regarding how the prospective elimination of these programs may affect your military family and your ability to acquire home loans.